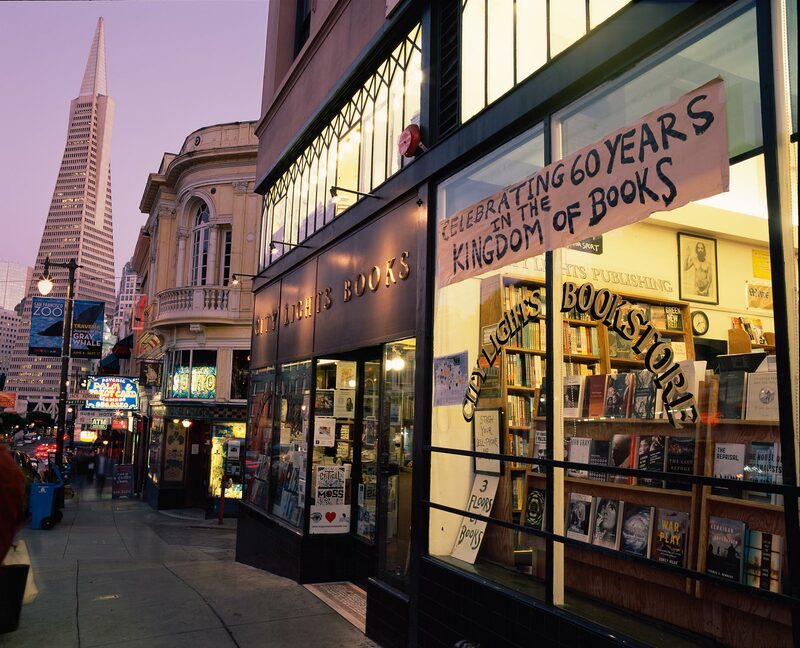 The corollary question, whether stated or politely left unasked, is usually “And how will you ever survive?” In the background of course is an ever-rolling drumbeat, said to portend “the death of books”—and, concomitantly, the death of bookstores. Fueled by corporations who need us to believe that we must have their latest gizmos, which have supposedly rendered most everything else obsolete, the noise that’s generated can make it hard to find a different tune to dance to. How, then, are we still here after all these years, and what is it now that makes us feel there’s any future for us? Is a place like City Lights even necessary anymore? Those who continue to come to the bookstore to find what they need tell me that the answer is an emphatic YES. And since I am one of them, I would like to raise my own din now and joyfully proclaim on the 60th Anniversary of the founding of City Lights: HELL YES, WE’RE STILL HERE, AND WE ARE HERE TO STAY!